Up-Close Outfitters is the premier guide service on Lake Hartwell. With 200 plus days on the water not many guide services can compete with our fishing experience. We run new 21 foot Champion bass boats with a full line of Shimano and Quantum reels and rods. We never cut corners when it comes to fishing. 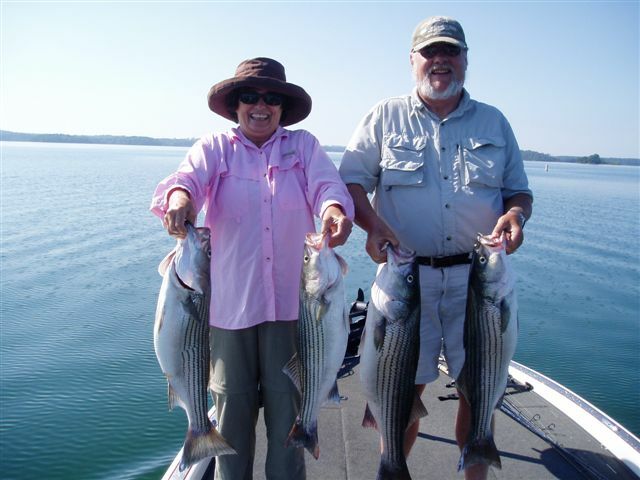 Lake Hartwell is known for its Striper fishing. Numbers of 20 plus are common with 30 pounders being weighed in weekly. We pride ourselves in your satisfaction and seek to provide an educational and unforgettable experience. Never cutting corners is critical. Fishing is more of an art than a science and you’ll never get the results you want if you cut corners and don’t put in the hours.